In addition to our business catering with Hog Roast Sussex we also run our own machines business. From here we manufacture, design and sell all of our own equipment that our fully trained chefs rely on day in and day out to provide the perfect hog roasts. As we believe everyone should get the opportunity to cook a hog roast at least once in their lives we sell our machines both to members of the public and to fellow caterers alike. 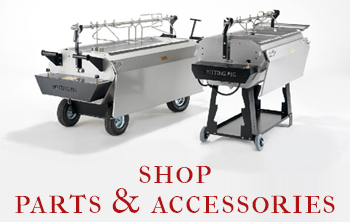 It is in fact testament to the superior quality of our machines that we are known in the business for being the company to go to for hog roasting equipment. This week we received an enquiry from Neil. Neil was himself a caterer, having retired as a chef due to the long working hours he had set up his own business catering for private functions and events and was looking for something to give him a unique edge and thought a Hog Roast Sussex machine might just do the trick. We invited Neil to visit our factory situated in the heart of Lancashire where he would have the chance to try out our whole range of different machines and to get first hand advice about what might be best suited to him and his needs, not to mention to get a few recipe ideas! As Neil was a caterer, we knew he would be requiring one of our larger Hog Roast Sussex machines so that he would be prepared for any event that he was asked to caterer at. 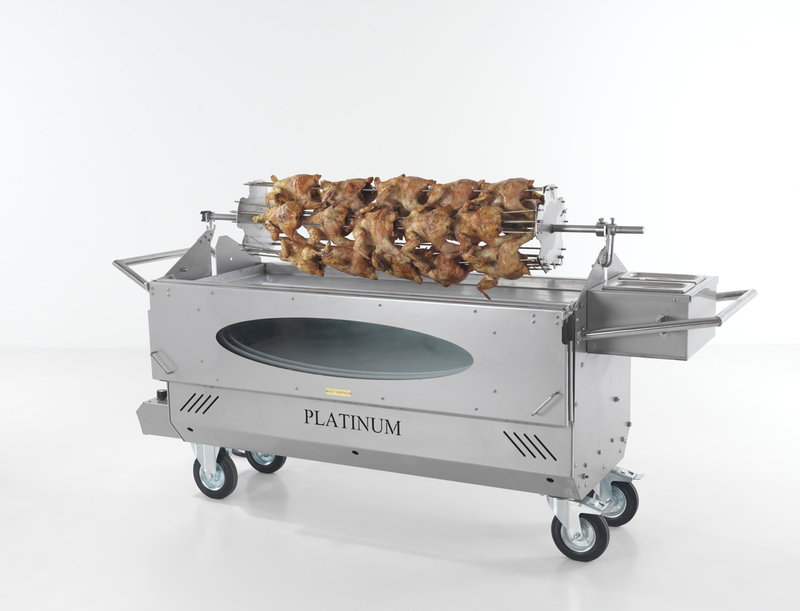 We recommended the Platinum, one of our largest machines yet still fully portable and easy to manoeuvre and cook on thanks to its many different attachments. Neil told us he practically fell in love at the sight of the platinum and there and then booked a delivery slot and put down a deposit for the machine! We can’t wait to hear how you get on Neil!